GUIDES - EPISODE REVIEWS - "EMINENT THREAT"
Good morning, Leagues, Teammates, and emissaries of the Light. I apologize for being late with this review, but this whole working as part of the management team in a corporate office shtick often keeps me busy, I'm not always able to turn out reviews and articles the way I was during my post-college unemployment (no, I don't work for LexCorp; but I think my current employer is at least a little more evil). ... Prince Brion in a tube as tar overtakes him under the watchful eye of Dr. Jace. 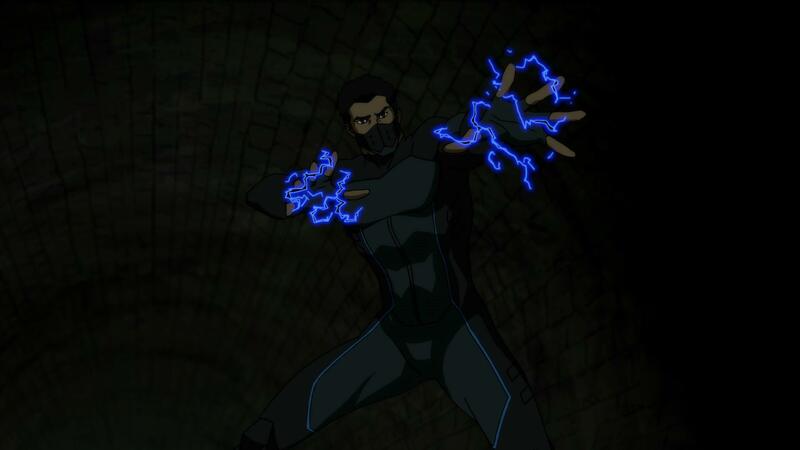 The first act begins as Artemis and a recovered Black Lightning head back into danger, while the new girl voiced by Zehra Fazal gets more ominous. 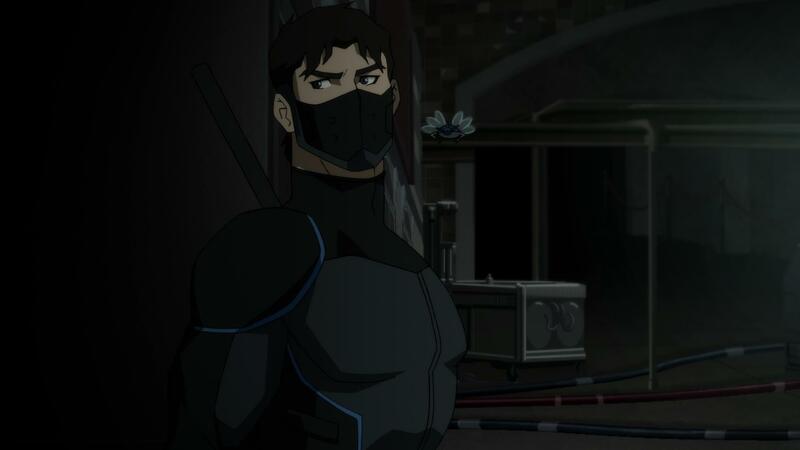 Nightwing is infiltrating the hospital and I have to say that I want his internet contact lenses... I also love the playful relationship he and Oracle have. The best girlfriends are the ones that will laugh at your clumsiness. Count Vertigo arrives and is, understandably, pissed off at the sight of Prince Brion... but Jace says this is a good thing, a powered up Brion can put an end to Bedlam. Jace must have no idea who she's dealing with if she thinks Count Vertigo will be any kind of sympathetic ear. 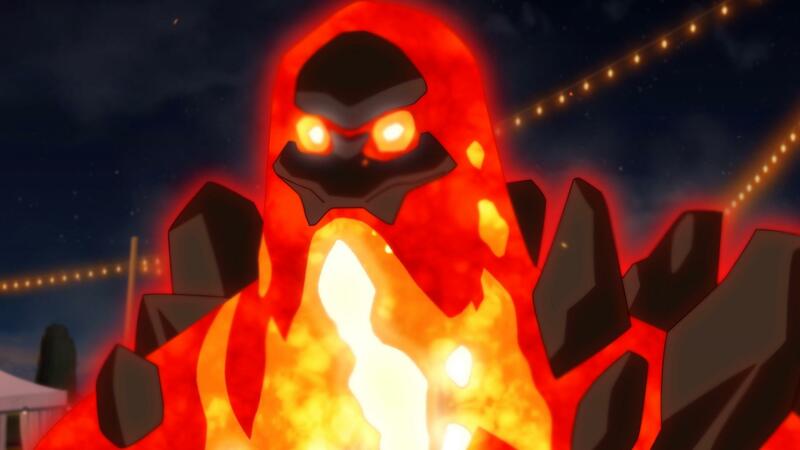 Vertigo is obviously in this to help our mystery villain (be it Gregor or DeLamb) take Markovia so they can help him take Vlativa at a later date... which would mean two more nations under the Light's control in addition to Greater Bialya. We then discover that Baron DeLamb is the mystery bad guy behind this, which honestly, wasn't much of a mystery. But even Nightwing kicks himself for not seeing the obvious as DeLamb is an anagram for Bedlam. Evil royal uncles are older than Shakespeare. 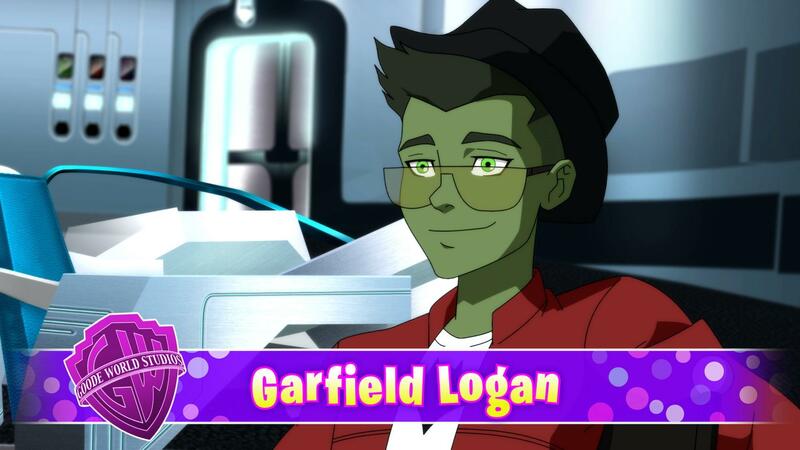 Now your mileage may vary, but I like a show that is self aware enough to point out that our detective hero should have seen this coming. All hell breaks loose as Plasmus attacks Artemis and Black Lightning, only for "Halo Girl" to come to the rescue. Baron DeLamb orders the shipment to be secured and for Dr. Ecks to execute Dr. Jace... but she is rescued by Nightwing before she goes on to rescue Prince Brion. Bedlam is shut down as the Baron escapes, and eight kids in pods are Boom Tubed away to who knows where. While on most other shows, the Baron might still escape, seldom would our heroes lose the kids, too. 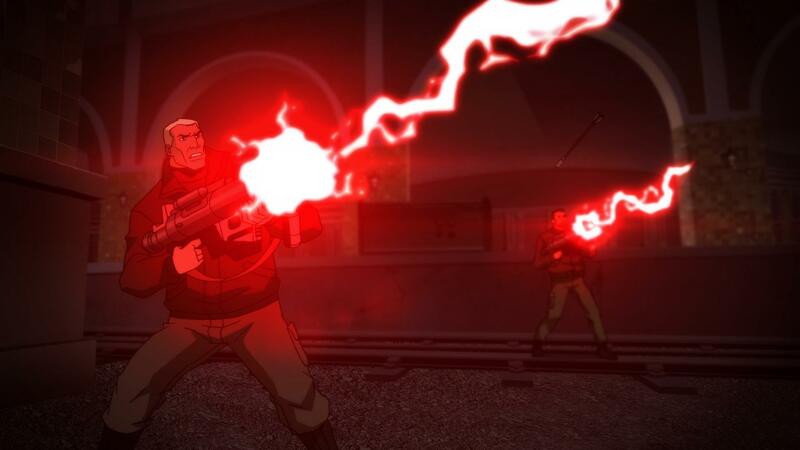 But this is "Young Justice", the villains aren't playing around here. The Light have always been a serious threat, as have been their many operatives. I can think of few superhero shows where the stakes feel higher. But there is still a country to save as the royal palace goes on lock down, and Baron DeLamb announces that Prince Brion is a metahuman working to destabilize the country. Like I said, the villains on this show don't fool around. Prince Brion comes to, horrified at the sight of the team, Dr. Jace, and his new geological powers. We see how far Superboy has come since we first met him as he tries to act as a calming influence on his royal highness and briefly succeeds. But Brion understandably loses it again as a broadcast is played of Baron DeLamb implicating Brion for his own crimes, meta human trafficking, the disappearance of his sister, and the murder of his parents. And so begins our showdown as Count Vertigo boom tubes in with Plasmus and Ecks, who also reveals himself to be a meta-human with "Multiple Man" esque powers. While Nightwing, Black Lightning, and Artemis deal with this... Superboy heads to the palace to help Brion as the final act of "Hamlet With Super Powers" is about to go down. The fight on the beach is the intense, well-choreographed fight scene we've come to expect from this show, but we are again reminded that this isn't Cartoon Network anymore when Plasmus burns off half of "Halo Girl's" face. Sphere helps her heal up, but the sight of it snaps Black Lightning out of his funk, and with his powers full back under control, he's truly back in the fight and manages to free Plasmus from Bedlam's control. Ecks is taken down as Vertigo boom tubes out. The battle at the palace is incredibly satisfying to watch. While Baron DeLamb is clearly the superior fighter over Prince Brion, Crown Prince Greggor is no idiot and can tell which of his relatives is a liar just by observing the ease at which an expert uses his powers against an amateur. Once again, a lesser show could have piled on the darkness to unbelievable proportions by having Greggor side with his uncle out of fear. But this is why I like this show, everybody is competent. Good guys, bad guys, and in between. One of my least favorite tropes is the comic relief moron, and there are none to be found here. This three-parter ends on a bittersweet note as Plasmus is killed by a farmer, mistaking him for a monster... just as Black Lightning did to Plasma in the season premiere. While Prince Brion is banished from Markovia for political reasons. Artemis closes the episode by asking what now. What now, indeed. 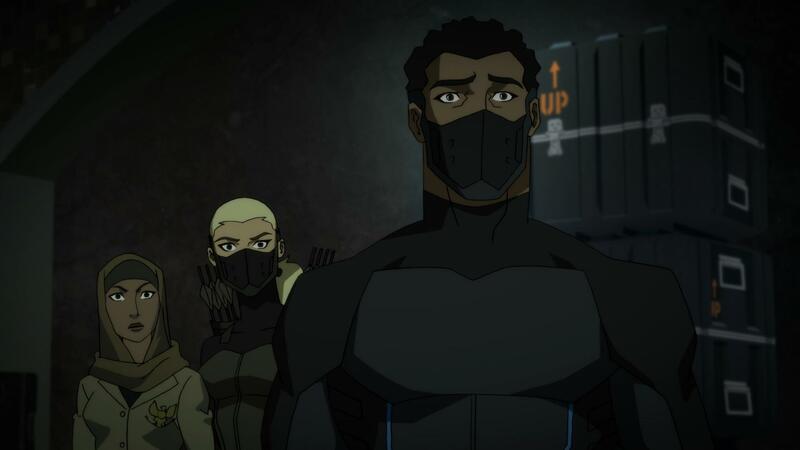 Overall, the three-part return of "Young Justice" is nothing short of excellent. We may have a two-year time skip, but we are dropped back in right where we left off. 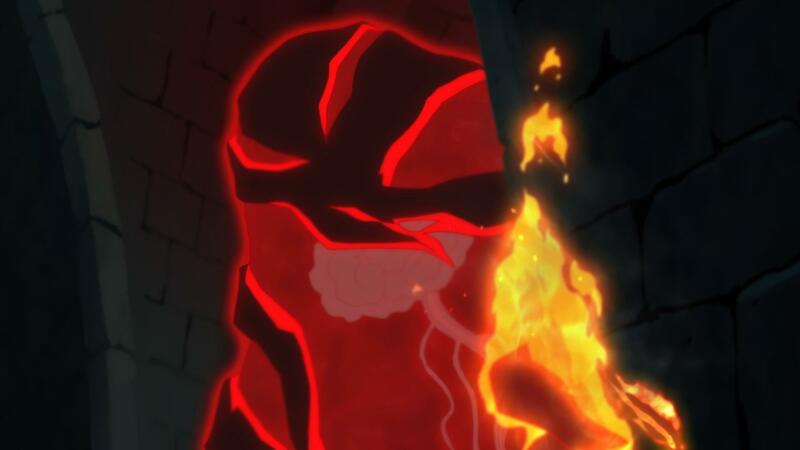 Maybe some details here and there would have differed, but I cannot help but feel like this is the general thrust we would have gotten had the third season come in 2014 instead of 2019. I particularly appreciated that we didn't waste time being re-introduced to every character and the world. They trust that you already know the show, and had time to catch up by binging on DVD, Blu-ray, and streaming. This is so much better than rebooting back to the beginning because you don't trust the audience, and I would like to see more of this. Fans are smart, audiences are smart, and if you turn in a quality product, they will follow you. 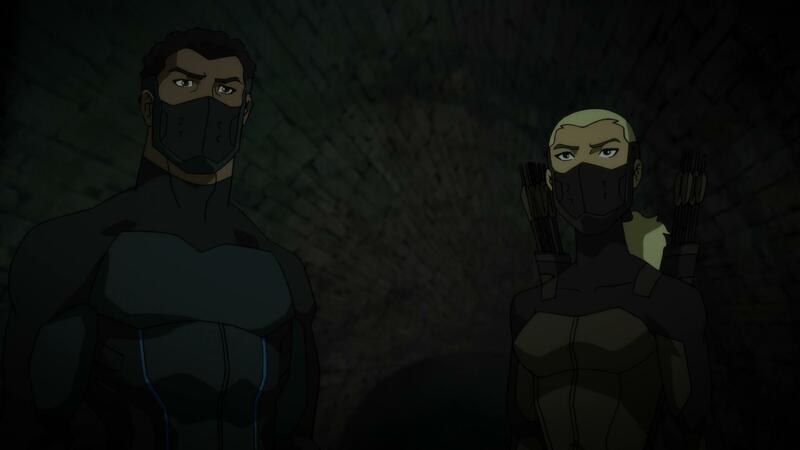 And considering the critical and commercial success that "Young Justice: Outsiders" has had since premiering, I believe it was at one point, the seventh highest viewed streaming series, then that proves that this move was correct. 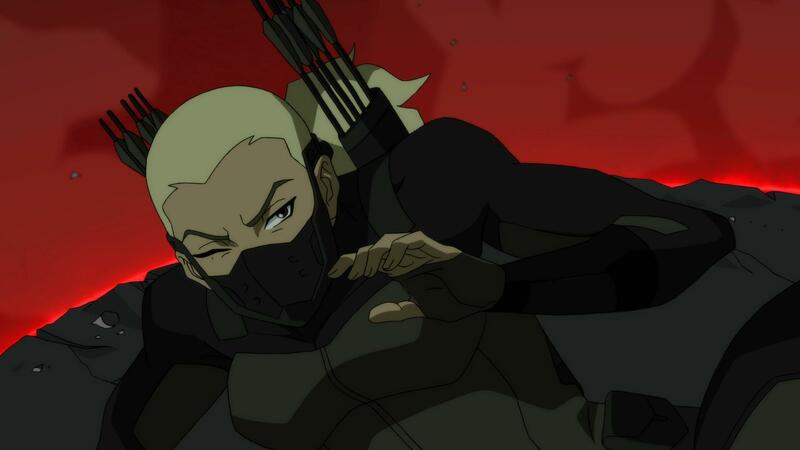 Here's to the new season of "Young Justice" and here's to the resurrection of other cult favorites. What's the lesson? Trust the built in fan base. Trust the audience. Build on your mythology, we don't need to see Act One rebooted over and over again.